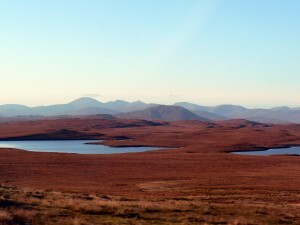 Many people in the UK and Europe would not think of the Western Isles as somewhere to go on vacation, in fact many people would not even know where the Western Isles are. Some confusion can be blamed on the fact that this small strip of islands off the North West coast of Scotland are also known as ‘The Outer Hebredes’, and the main island being Lewis which is also sometimes referred to as Harris. This is simply because the island is split in two. Confused yet? It is possible to fly to The Western Isles and the usual airport you will fly into will be Stornoway. From here many people will hire a car at the airport and use this to explore the many nooks and crannies of these islands by road and ferry. An alternative, and much more protracted way tp visit the islands is by taking a car ferry from the mainland of Scotland, this really is beautiful but takes much longer and is almost a holiday in itself. Once in Stornoway you may find life a little less hectic, the town is steeped in Norse history and locals often refer to folk from mainland UK simply as ‘main-landers’ Scottish included. 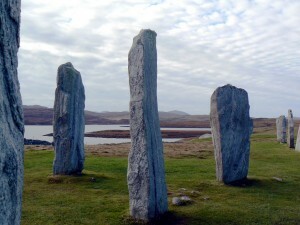 It is however, a very friendly town, sparse but clean and great for exploring with a lovely harbour and (Lewis) castle. Stornoway makes a great location to explore the rest of the island archipelago. The easiest method is by car, and a sat nav is probably a good idea here. 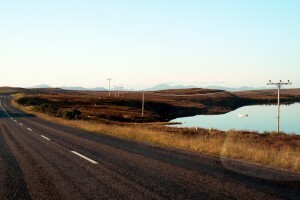 Although the islands appear small, in actual fact, the roads often seem to go on for miles, some take travellers into remote landscapes which better resemble some vast continent with mountainous backdrops and endless horizons of heath and scrub land. 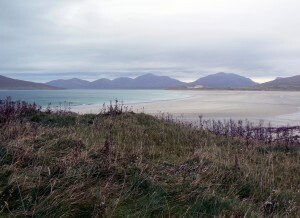 Trees and forests are noticeably less common in the Outer Hebrides due to the harsh weather and winds, these islands are hardy destinations for wildlife in winter. Boat trips to Uist and other islands offer spectacular views of the islands from the sea and a trip to Uist evokes scenes from the movie ‘Jurassic Park’. For those brave enough to cycle around the islands, the rewards are even greater. However, depending on what time of year you visit, do not expect visitor centres and convenience stores to always be open. It is best to travel with a backup of urgent supplies, especially any medication and ensure you have a full tank of petrol before setting off. You will find the islands colder and windier than mainland Britain, but with so much nature and wildlife (especially bird life) to absorb, the Western Isles should be on every avid travellers bucket list- the almost prehistoric sunrises are something to behold. It will capture your heart and you’ll be dreaming of returning the moment you leave.